We write as counselling psychologists who find ourselves working in traditional clinical, forensic, paediatric and academic contexts. This experience has led us to query the role, utility and validity of the historical and current taxonomy of our profession. In 2009 the Health and Care Professions Council became the statutory regulator of practitioner psychologists. This process involved consultation of key stakeholders in order to identify who should be regulated and the knowledge and skills that would determine the standards of proficiency for practitioner psychologists. An unintended consequence of this was the cementing of historical role titles and reinforcement of tacit beliefs related to an arguably outdated discourse of difference. The demand on psychology appears to have now shifted focus going beyond the interdisciplinary boundaries defined by the parameters of the service organisation and the needs of their client group. New Ways of Working (BPS, 2007) saw the traditional roles expanding in favour of psychological consultancy in multidisciplinary teams, not least due to a shortage of skilled psychologists available service-wide. Unintentionally the BPS added to the confusion in 2011 by putting in place a requirement for all clinical psychology roles to be opened up to counselling psychologists. With this came an increase in the ‘Clinical/Counselling’ title being integrated into job descriptions and job specifications. The move though did not reflect in the roles of health and forensic psychologists. The clinical reality for psychology is rather different, with client needs that often can be met by more than one area of speciality. For example, a client’s anxiety in the area of physicality might be addressed either by a health, clinical or counselling psychologist. How do we define our area of expertise? More significantly, how relevant are these labels to clients’ own phenomenological experiences. In the workplace we increasingly employ a biopsychosocial perspective in the organisational and clinical setting. Through an understanding of systemic models we engage with human function and distress aiming to understand psychological manifestations of struggle in the wider context of the lived experience. If we are seeking an integration of therapeutic modalities with a view to achieving a more holistic and responsive service for our clients, should we not also be holding the same lens up to ourselves? Perhaps the question is: Why at a time when psychology is under increased threat from budget cuts do we not attempt to rethink our role? In the meantime the BPS takes cautious steps in engagement in an International Declaration on Core Competences in Professional Psychology (BPS, 2015). With a concern being raised that the International Declaration ‘as it currently stands, does not sufficiently represent, even at a broad, generic level, the competences required for the professional practice of psychology as they have been defined in the United Kingdom’ (BPS, 2015, p.2). The authors wonder how this relates to the state of UK practice. The question proposed is whether we should seek to either separate or align the practitioner roles. Accepting that within them we all have specialties but that these do not necessarily cause differences in how we should be defined. That the titles we have sought to create, Counselling, Clinical, Health or Forensic, are often illusory not only to ourselves but also to the roles we take on which seek to elevate and confuse our purpose even further. British Psychological Society (2007). 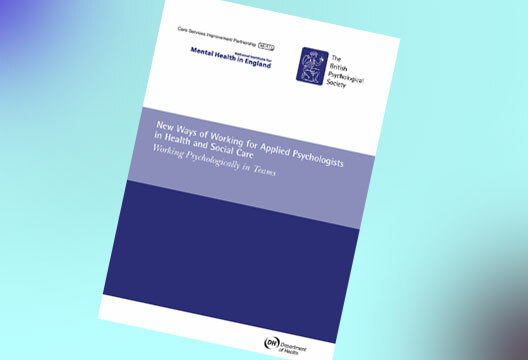 New ways of working for applied psychologists in health and social care: Working psychologically in teams. Leicester: Author. British Psychological Society (2015, December). British Psychological Society response to the International Project on Competence in Psychology. Final Draft (v1.0) International Declaration on Core Competences in Professional Psychology.